As an advocate for you, your business, and your clients’ animals – we know that no situation is exactly the same. That means that your insurance options require a measure of flexibility and customization. Unlike many of our competitors, KennelPro isn’t captive to just one insurance company or policy. 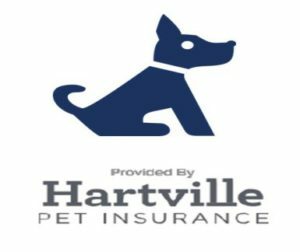 We have partnered with three great companies, Safeco, Figo Insurance and Hartford, who can insure your individual pets. Safeco offers a comprehensive and customizable insurance option to insure your dog or cat for unforeseeable accidents, illnesses, heredity conditions, behavioral issues or dental disease. Obtaining a policy through Figo Insurance is perfect for alleviating the burden of veterinary / medical bills. If you are more concerned with protecting your investment in a service dog, for example, we can provide an Animal Mortality life insurance policy through the Hartford. Safeco Insurance offers several customizable coverage options to help protect your families’ dogs and / or cats. The Complete Coverage plan offers protection against accidents, illnesses, cancer, hereditary conditions, behavioral issues and dental diseases. This plan also covers exams, diagnostics, and treatments, including alternative therapies. Safeco also offers an Accident-only coverage plan. Health insurance plans that cover the unexpected illnesses and injuries of your dog or cat. You can visit any licensed veterinary practice, emergency hospital or specialist. Figo will reimburse up to 100% of your actual vet bill with unlimited coverage and no limits on claim payouts. Animal Mortality Coverage – Helps cover costs associated with an animal’s death if caused by a covered accident, injury, sickness, or disease. Theft coverage is also included. Animal Mortality Limited Coverage – Helps cover costs associated with an animal’s death if caused by a listed covered cause of loss including fire, lightning, windstorm, hail, collision or upset while in transit, accidental shooting, drowning, and more. Theft coverage is also included.